Ludacris Recalls Recording "Incognegro," Says It Was "A Dream Come True"
It’s been nearly 15 year since Atlanta wordsmith Ludacris released his independent debut album Incognegro and while the rapper’s currently in the process of crafting his next studio album, Ludaversal, he took some time to speak with MySpace Music about his celebrated debut. According to Ludacris, “What’s Your Fantasy,” the Shawnna-assisted single that’s featured on both Incognegro and Back For The First Time, was a record that was close to being replaced as lead single. “I put out ‘Fantasy’ and ‘Game Got Switched’ produced by Organized Noize on the B-side. I remember having a lot of conversations about which song everyone thought would work better, so I wasn’t 100 percent sure, but I put my money on ‘What’s Your Fantasy’ after putting my faith out there. 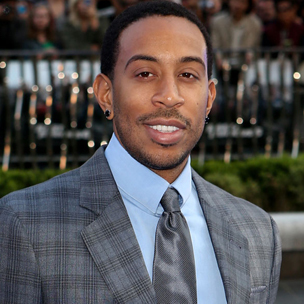 But it was close to being ‘Game Got Switched,’” Luda revealed.